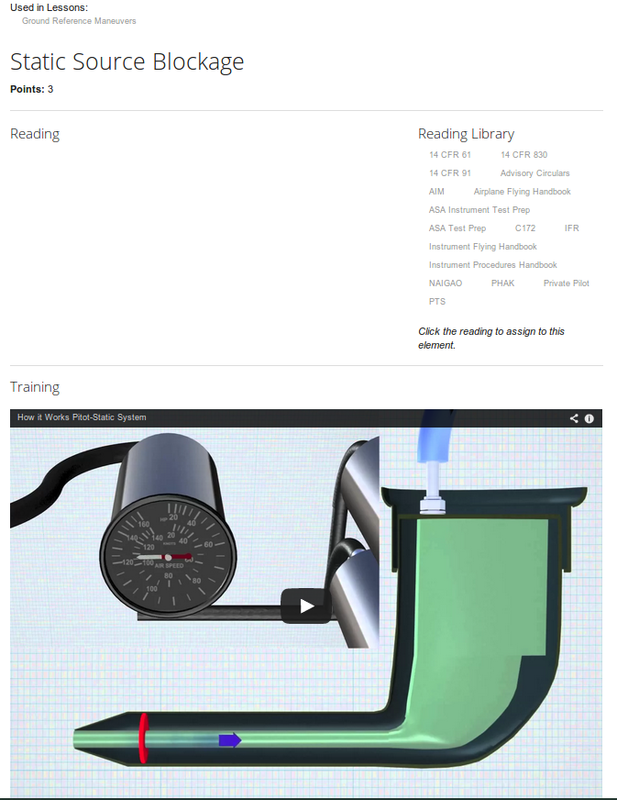 Fly LMS | Modern, inspired flight training for Flight Instructors and Students. General Aviation flight instruction needs a facelift. This is a well known fact of flight training, 80% of students drop out. Our group studied the behavior of flight instructors and students, and looked for the root causes of the 80% drop rate. Fly LMS is a Flight Training management system that allows flight instructors and students to get on the same page, stay on the same page, and zero in on the goal of completing training programs. Use online training syllabuses and lesson content. Bring your lesson materials in the airplane on your iPad or Andriod tablet. Embed video training content into your syllabus. Keep track of student progress and instructor notes. Print a training summary report for the check ride. Create your own lessons and syllabuses. Study on your iPad or Android tablet. Review instructor notes as you practice and improve your flying skills. Use Free FAA PDF publications. 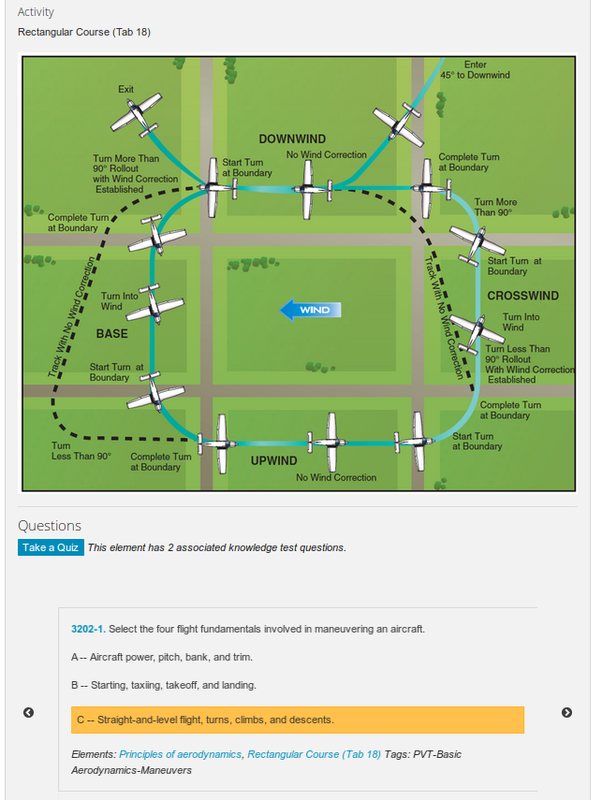 Easily pass your written FAA Knowledge Test the first time. There is a fine line between being bound by a training tool, and being freed by it. FlyLMS frees flight instructors to focus on delivering great pre-flight ground instruction, great flight training in the airplane, and memorable post-flight debriefs. Instructors love FlyLMS because it gives them the ability to keep track of the student's progress on the complete set of knowledge requirements and flying tasks required to complete the program. 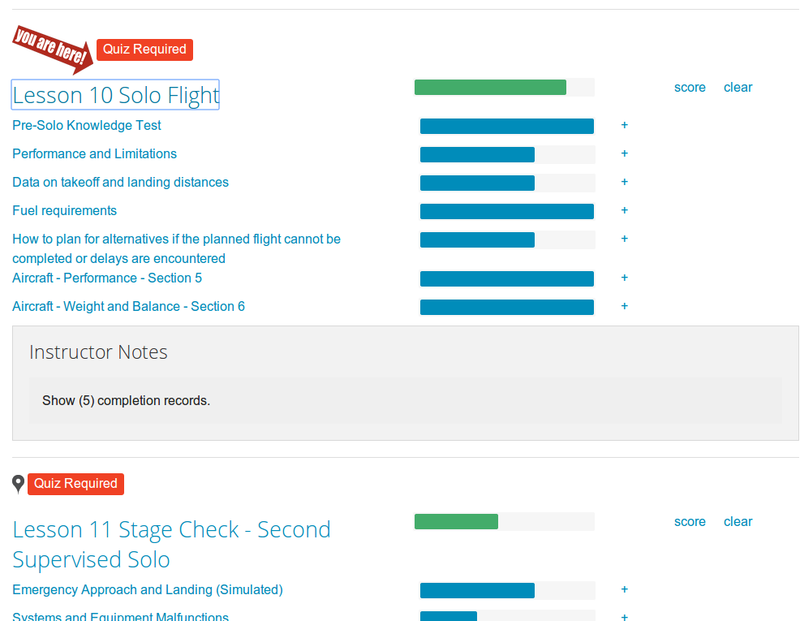 Students love FlyLMS because it puts their training content in one place, integrating reading materials with knowledge test prep questions, and allows them to see which flying tasks remain before they have completed the program. FlyLMS removes all doubt or misunderstanding between the flight instructor and student about the student's progress, while enabling faster learning, less rework, less discouragement, and first time success. FlyLMS brings together ground school materials, knowledge test prep questions, and the flying lesson plan in a unique way that supports the student and instructor. Completion records track the student progress and capture instructor notes. Both instructor and student can clearly see training elements and tasks that have yet to be completed. Use our stock Private Pilot and Instrument Pilot training programs, or build your own. You can easily create new syllabuses for any topic that you wish. Embed video and reading materials directly into the lesson plan so students have a one-stop learning environment. Our lesson plan structure allows you to add lesson content using a standard markup language which formats beautifully into PDF. You do not have to write HTML. You can embed pictures and video into your lesson plans. Track ground and flight training given, and the student's progress towards meeting all of the requirements for the check ride. Completions are plotted using graphical bars so you can quickly see elements that need to be addressed. Digital online training is the way to go. Instructors and students can use their tablet during all phases of instruction: preflight ground instruction, in-flight review, and post-flight debrief. Today's student pilots include professional adults who train with an intermittent schedule. FlyLMS helps you manage more students simultaneously and quickly remember where you left off. Today, students need to purchase two sets of books if their training moves into a new year. Stop buying books that will get thrown away after 12 months, and use our modern, online system. Instructor debriefs are very valuable to student practice, but they commonly get lost or forgotten. FlyLMS keeps instructor comments with the lesson completion records, so you may refresh your memory at any time. FlyLMS helps your instructor be more organized. FlyLMS helps you be more organized. Use FlyLMS and your training will go more smoothly than without. FlyLMS is only $39 per Syllabus. Train more efficiently than ever before. Your server can be up and running in about 5 minutes. Copyright © 2016 FLY Online Tools All Rights Reserved.